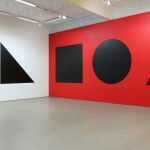 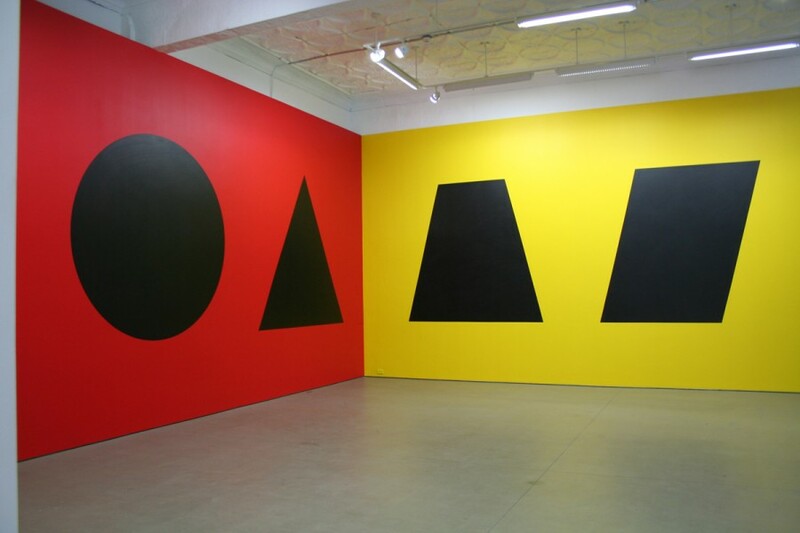 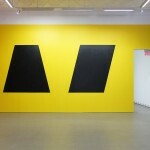 Sol LeWitt, Wall Drawing #349, 1981.Ten geometric figures in black india ink on walls painted red, yellow, blue, white. 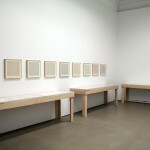 First executed at Mercer Union in March 1981. 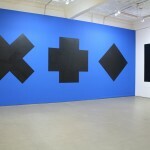 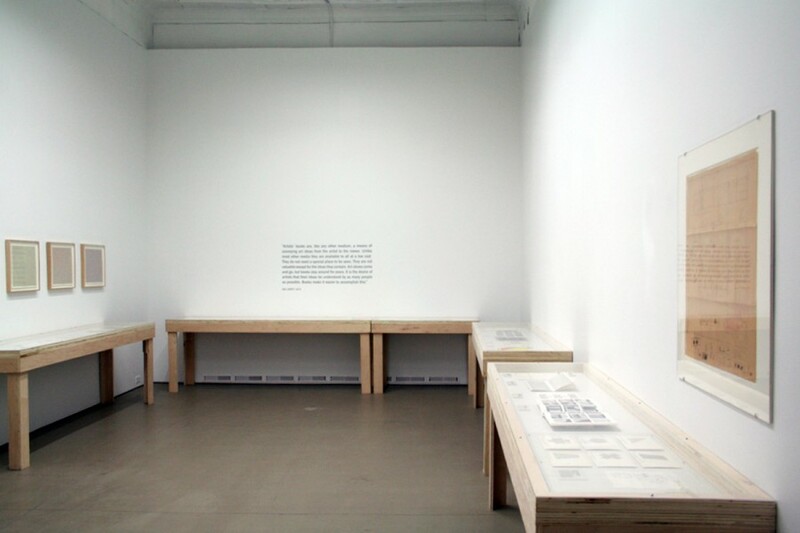 Installation view of the second installation at Mercer Union in July 2010. 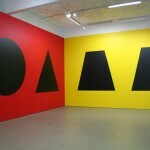 Detail of North and East walls. 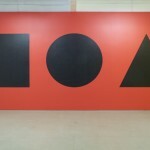 Sol Lewitt’s Wall Drawing #349 will be exhibited to mark the culmination Mercer Union’s 30th anniversary celebrations. 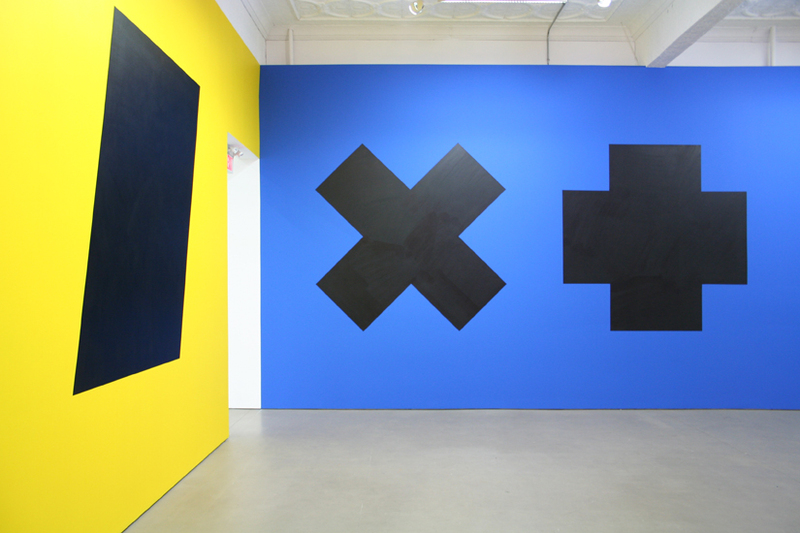 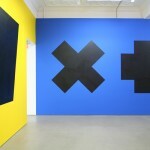 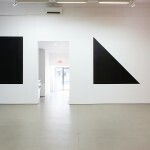 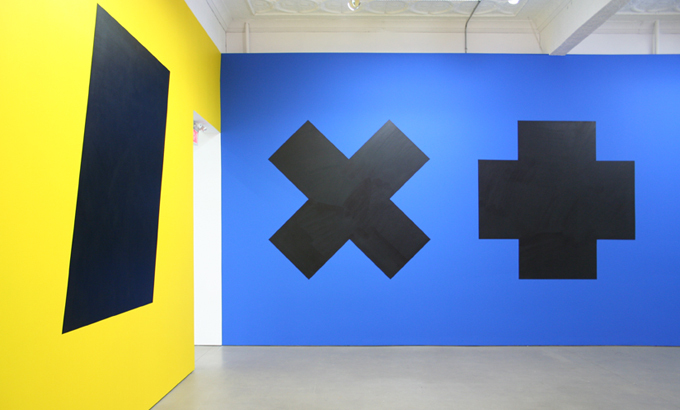 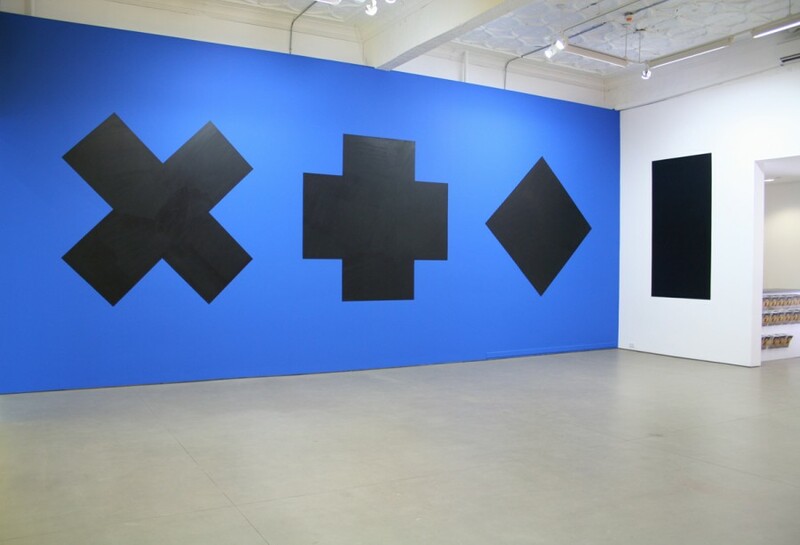 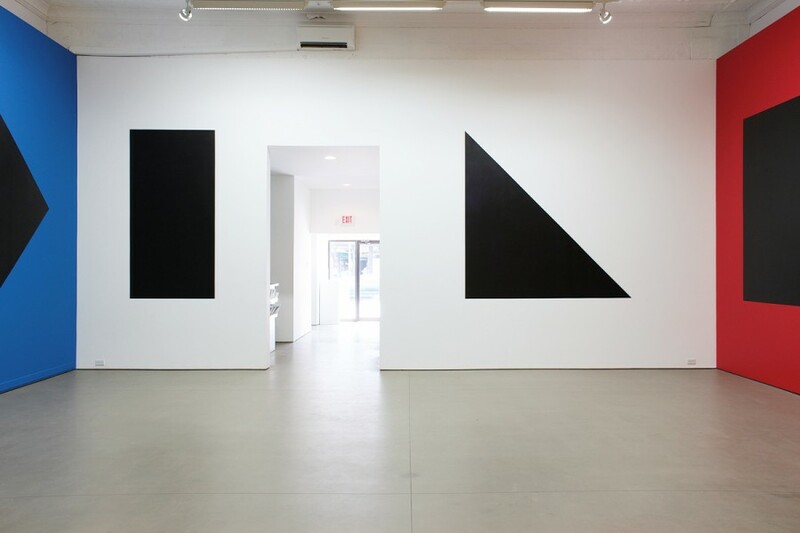 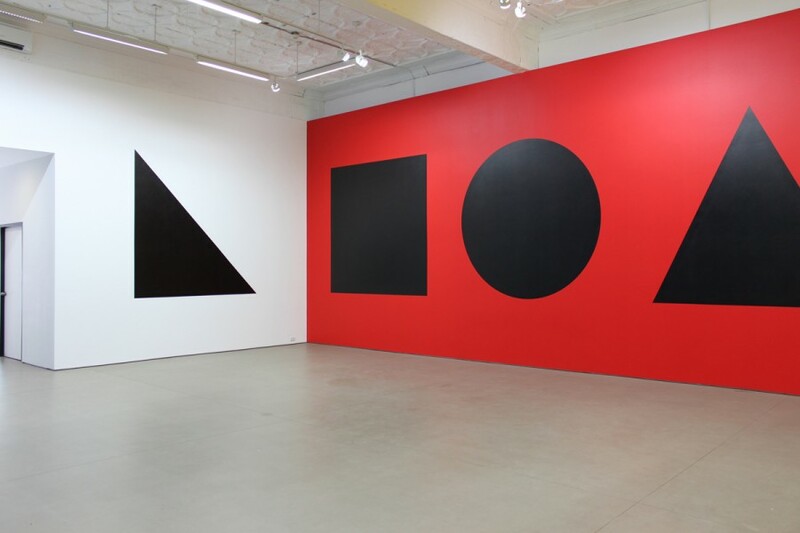 The work was originally installed by Sol LeWitt in our founding exhibition space on Mercer Street in 1981. 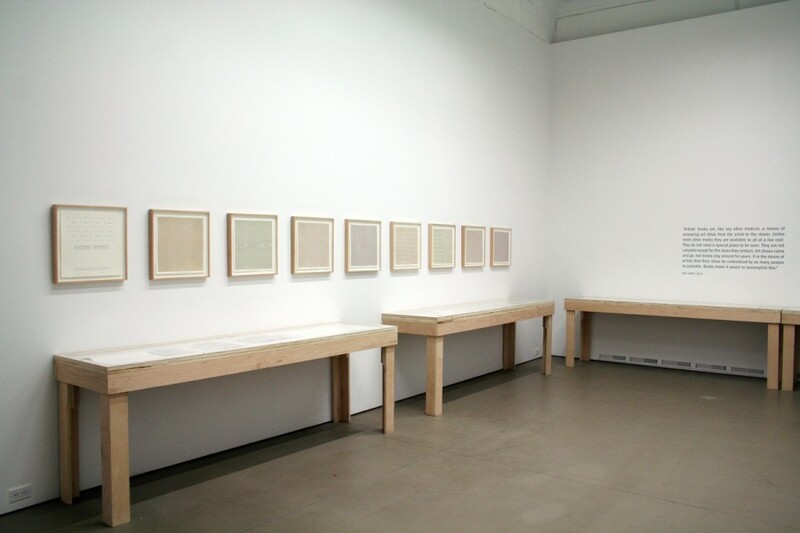 The 2010 exhibition of the work pays tribute to the importance of the artist’s legacy within Mercer Union’s innovative history of exhibitions, while also tapping into the currency of conceptual art practices for an emergent generation of artists. 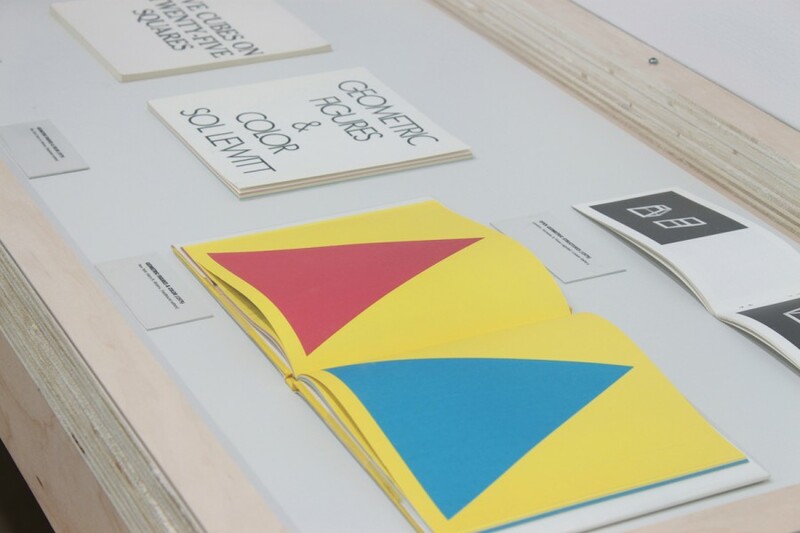 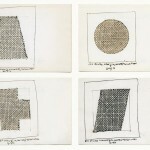 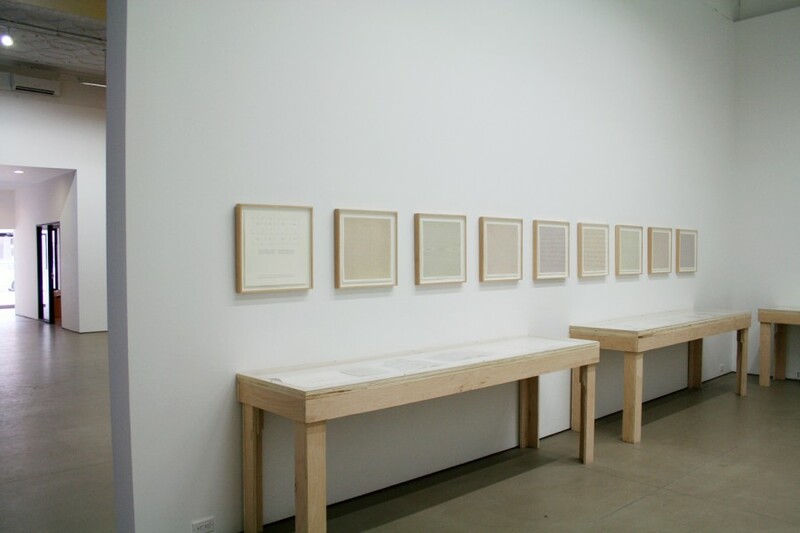 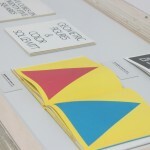 The back gallery features an exhibition of artist books, prints and other ephemera by Sol LeWitt. 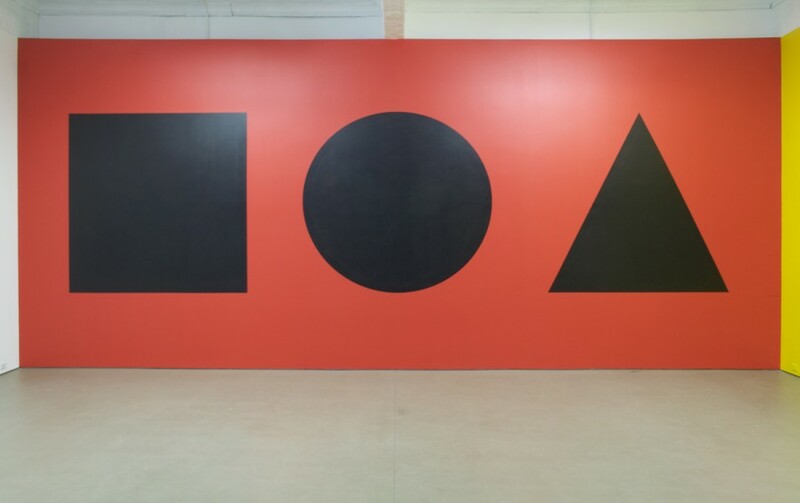 Sol LeWitt is widely regarded as one of the leading exponents of Minimalism and Conceptual art, and is known primarily for his geometric structures and architecturally scaled wall drawings. 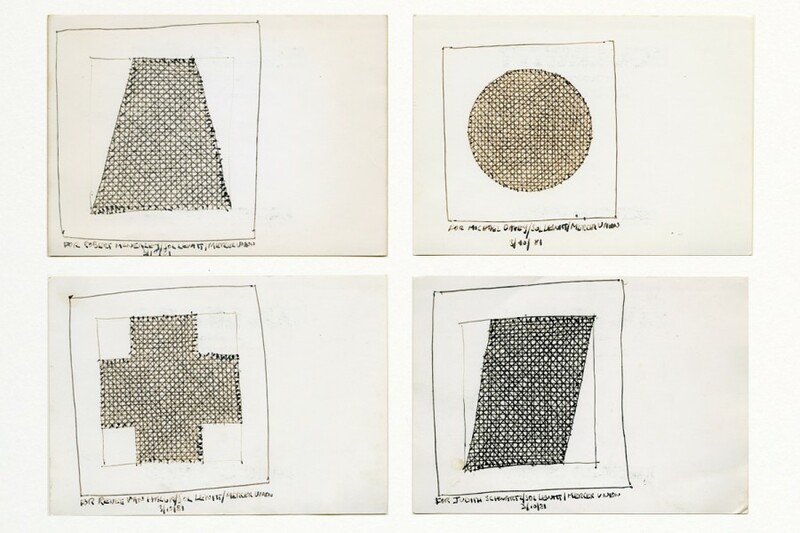 His experiments with the latter commenced in 1968 and were considered radical, in part because this new form of drawing was often executed not just by LeWitt but also by other artists and students who assisted him in the installation of his artworks. 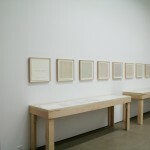 PRESENTING DONORS: Bruce Bailey, Dr. Paul Marks, Robert Mitchell, Jay Smith, Partners in Art. 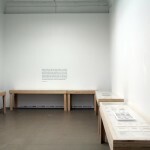 IN-KIND SUPPORTERS: ABSOLUT, Heineken, Hearth & Garden at Campbell House, Jacob’s Creek Wines, Sonic Print, Superframe, Gladstone Hotel. 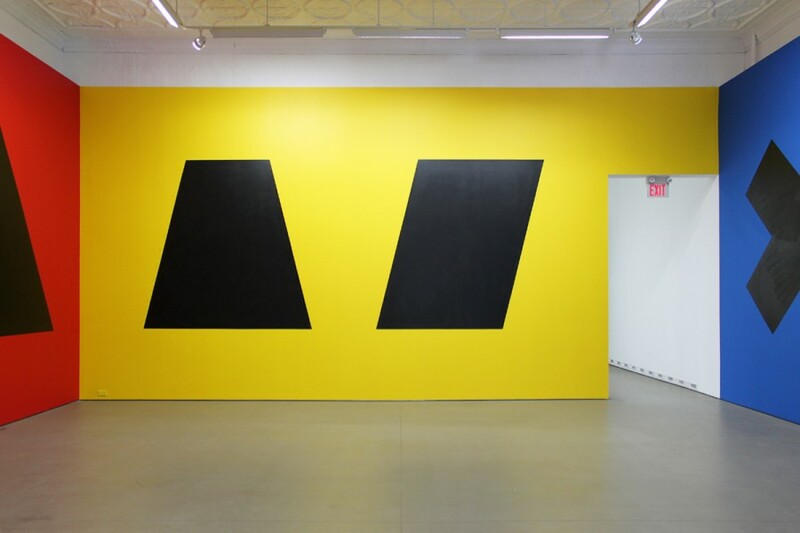 For information on purchasing tickets for the advance preview click here.